Now you can enhance your BULK FUNDRAISER with Campbell’s Sweets even more! Increase your fundraising sales with these 12-Pack Sampling boxes; purchase at full-price and get a quantity-based refund when you place your BULK FUNDRAISER order with us! Check out our Fundraising Page for more details! 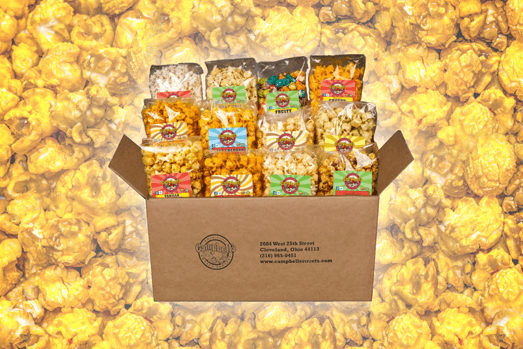 Purchase these 12-Pack sample boxes of our delicious popcorn fundraising flavors, and get a discounted refund when you place your Bulk Fundraiser order!